CIES is made up of over 100 staff and volunteers (each!). If you’re looking for more information on a particular program or manager, check them out below. 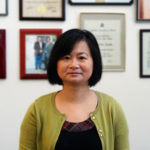 Dr. Sally Zhao obtained her Ph.D. in ESL (English as a Second Language) Testing and Assessment and an MA in Language and Communication from Cardiff University, UK, an M.Ed. in Teaching English for Specific Purposes from University of Exeter, U.K., and a BA in English Language and Literature from Lanzhou University, China. Sally has experience in teaching ESL, English Language and Communication, LINC (Language Instruction for Newcomers to Canada), and ELT (Enhanced Language Training) courses. Sally started her career at CIES in 2005. Since then, she has been in different roles within the organization as ESL volunteer tutor, LINC instructor, ELT instructor, LINC Manager and Executive Director Designate. On November 1, 2014, Sally became the Executive Director of CIES, a title that later changed to Chief Executive Officer. 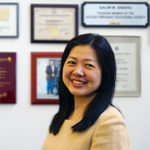 Wei has over 10 years of experience in finance, accounting, auditing and tax. He obtained his Chartered Professional Accountant and Certified General Accountant designations in 2015. He earned his Master of Arts in Economics at the University of Ottawa, and also holds a bachelor's degree in Business Administration. Wei joined the Society in 2015 as Finance Manager. As of 2016, in consultation with the Chief Executive Officer, Wei, besides performing the duties of Finance & Operations manager, has been involved in the Society’s high-level financial strategic planning and financial operations. In October 2017, Wei assumed the role of Chief Financial Officer. 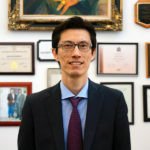 As a first-generation immigrant, he received a great amount of community and government assistance after his family landed Canada, and as such, Wei’s goal is to give back to the community and the country that first helped him succeed. He is grateful and pleased to work for CIES, an organization that serves communities and helps newcomers. With more than 10 years of experience in teaching English as a Second Language, 8 of which have been spent at CIES, Richard believes in taking a wholistic approach to his students’ individual successes, encouraging their professional as well as personal development. Richard earned his Bachelor’s degree from the University of Calgary, with a major in Latin American History and a minor in Spanish. With a passion for language, he also received his TESOL diploma, and has most recently excelled in the position of PBLA Lead Teacher in CIES’ LINC program, where he coached LINC staff to meet the standards of excellence required by the Centre for Canadian Language Benchmarks. After successfully fulling the role of Drop-in ESL and Volunteer programs Manager with CIES from July 2018-January 2019, Richard brought his rich teaching experience, effective program management experience, and sound relationship building skills to his role as Director as of February 2019. Born in Nepal, Suman Khanal obtained his Masters in International Community Economic Development from Southern New Hampshire University in Manchester, New Hampshire. He also received his Masters in Business Administration from Lincoln University, California and is working on his Doctorate. He also earned his post-graduate diploma in Community Based Development from St. Francis Xavier University, Antigonish, Nova Scotia. 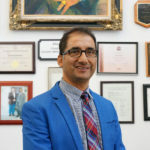 Suman served as the Chief Executive Officer for the National Federation of Community Credit Unions in Nepal for nearly 7 years before he moved to North America. In the United States, he served as Financial Literacy Program Director for America’s Credit Union Museum and for nearly 5 years he served other non-profit organizations as they helped immigrants in their settlement and integration. Suman has travelled to over 20 countries and provided short term consultancies in the area of Community Economic Development and Assets Building for poor and disadvantaged people, especially in Senegal, India, Bangladesh, Thailand, Philippines, Malaysia, Pakistan, and others. Since 2003 he has been a Certified Development Educator with the Association of Asian Confederation of Credit Unions. After finishing his assignment with McBride Career Group as an instructor for career planning/job search and job maintenance, Suman joined CIES in September 2013 as a Program Coordinator for Financial Literacy and the Welcome Resources Information Program, and served in this position until he became the Manager for Settlement Services and Facility Operations. In 2017 he expanded his work portfolio to include a new title, Management of Settlement Services and Employment Training, and assumed the role of Director in 2019. His mission is to help immigrants and low income citizens enjoy a meaningful life in their community. Jana Ciobanu has over ten years' experience at CIES, during which time she has filled a diverse number of roles, including volunteer, English language instructor, and PBLA Lead. Jana has taught all CLB levels and demonstrates a clear understanding of the CLB framework and its application in classroom planning. In 2015 she completed the PBLA Foundation Course and became a Lead Teacher. As a PBLA lead, Jana has provided PBLA training to our instructors and helped implement PBLA at CIES. With her ESL/LINC teaching background, Jana has had the opportunity to instruct a wide variety of students from various backgrounds. She has taught ESL with English Programs for Internationals in the USA and Translation and Interpretation at the Free International University of Moldova. She has also worked in program management with international organizations. Aside from her rich work experience, Jana also has a solid educational background. She graduated from the Educational Department at the University of Calgary and acquired a Master’s Degree in TESL. Jana also studied Adult Education at the University of South Carolina and received a Bachelor of Arts in English and French at Alecu Russo University in Moldova. Jana always looks forward to working with our clients and hopes to help them call Canada home. Cesar recently obtained his PhD at the Australian National University in Canberra, Australia writing on notions of power and authority vis-à-vis the state in a borderland Muslim society in the southern Philippines. His interest in the challenges of minority integration has gained practical expression in his role as Program Development Manager at CIES, where he has taken on the responsibility of developing new programs that respond to the changing needs of Canada’s newcomers. He has taught at universities in Canada, Australia and the Philippines, and has presented on the topic of minorities at conferences in North America, Europe, Asia, Oceania and the Pacific. 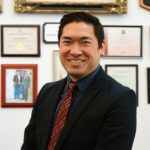 His academic background is supplemented with private sector experience, having served for five years as a training department manager in an American corporation, as well as experience in language programming, previously filling the role of ESL and LINC coordinator for other immigrant-serving organizations. 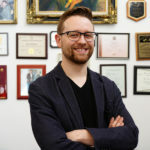 As a seasoned writer, designer and management professional with over 10 years of experience in communications and development, Colyn received his Bachelor’s Degree in English from St. Mary's University in 2010 and is currently completing his Masters Degree in International and Intercultural Communications through Royal Roads University in Victoria (March 2019). As the manager of E-Learning & Communications for CIES, he has lead the proposal process, platform development, and daily operations of much of the organization's in-class and online programming. Since 2012 these innovative programs have come to include LINC Home Study (LHS), Refugee Express Drop-In ESL & Integration (REDI), Adult ESL Class Online (AECO), Workplace Online Retention Class (WORC), and LINC Blended. As the head of CIES' Communication department, Colyn also oversees the design and dissemination of promotional materials (print and video), advocacy and internal correspondence. A native-born Calgarian, Colyn is an active participant in the community and provides web-design support and communication strategies for local community non-profits who seek to improve their online presence and internal communications. Moving forward, he eagerly seeks to foster new partnerships and find ways to knit community stakeholders together in their effort to help support newcomers as they find their place in Canadian culture. Born in Wuhan, China, Olivia has obtained her Bachelor of Arts in English Education, her master's degree of English Language and Literature, and is a PhD candidate in Comparative Literature and World Literature. 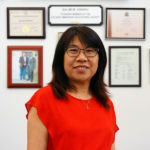 She has a wide range of experience in a variety of academic settings, including serving as a translator/interpreter and International Education Counselor in the International Affairs Office of the Hubei Provincial Department of Education; acting as head English instructor with Wuhan Textile University; Deputy Dean of USQ-SCNU Accounting College at the University of Southern Queensland in Australia, and Dean of the International Education College at Hubei University of Science and Arts. Olivia came to Canada in 2008 through her role as China Representative at the International Education Centre in Medicine Hat College, Medicine Hat, Alberta. She joined CIES in 2012 as the Drop In ESL and Volunteer Programs Manager, becoming LINC Manager in 2014, and Employment Support Manager in 2016. Olivia currently serves as our NICO Manager, using her passion for education to help newcomers prepare for and excel in their Canadian work experience and training. 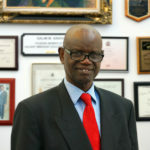 After earning his Bachelor Degree in Sciences in Senegal, Racine pursued and graduated from the Specialized in System and Software program at EPITA-France (School of Computer Sciences and Advanced Technologies). 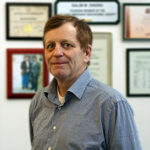 Racine started teaching computer software and applications to youth and adults, as well as in corporate settings, in Paris, before moving to Canada in 1995. 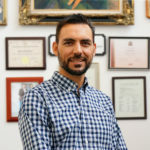 Driven by his passion for IT and a profound desire to help others, Racine has more than 10 years of experience as a computer and network instructor in several educational institutions in Canada, such as I.S.I. (Institute Superior Informatique), Institute Demers, Delta College and CDI College in Montreal. Before joining the Society in February 2013 as Computer Programs Coordinator, he worked as IT System Analyst at BELL and at Guest-Tek, and IT Support Analyst at HP . He has been Manager of Computer and Accounting Programs at CIES since March 2014. Eva Su was born in Taiwan. She obtained her degrees from San Francisco State University, a Bachelor of Arts in Speech Communication and Master of Arts in English (TESOL). Eva also taught in a pre-academic program in San Francisco State University for one year and a junior college in Taiwan for four years before moving to Canada in 2004. Eva joined the Calgary Immigrant Educational Society in January 2005 as a teacher for the ELT Program and later became the manager of the Drop-In ESL and Volunteer Programs from August 2005 to March 2011. Currently, Eva holds the position of Manager of Human Resources and Office Operations. Cliff was born in Calgary, where he graduated from SAIT with a diploma in Computer Technology. His career has required him to travel the globe extensively, setting up joint ventures and constructing manufacturing plants, and with over 25 years of progressive facilities and project management experience he brings a number of unique skills to enhance security, building services and maintenance for the Society's physical assets. Cliff joined the Calgary Immigrant Educational Society in December of 2016, and currently holds the position of Facility and Operations Manager. 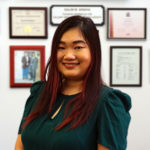 Priscilla obtained her Masters in Applied Psychology from Nanyang Technological University (Singapore) and her bachelors degree from Monash University in Melbourne, Australia. She has worked with children, at-risk youth, and international clients in various roles throughout her career. She has acted as clinical supervisor and sessional lecturer at private institutions for international students, and her teaching experience extends to children with mild special needs, who require special creative interventions in the classroom. Priscilla finds tremendous joy working in the helping profession. Additionally, she brings experience in online marketing, event planning and volunteer management for not-for-profit organizations to her managerial role. She enjoys working on different projects and areas within the not-for-profit sector, and welcomes any and all opportunities for collaboration and development.